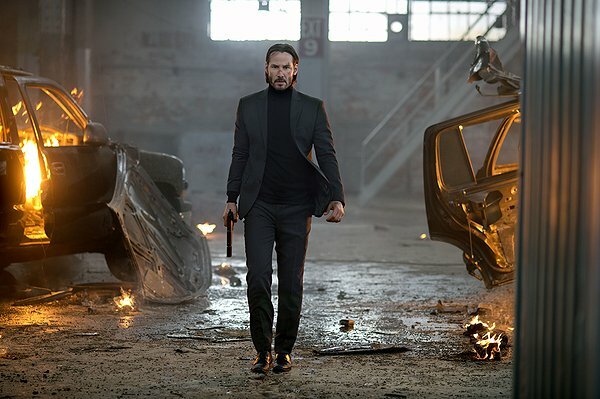 “John Wick” is a disappointingly standard revenge movie. We get to hear characters say variations on “his wife died, then you killed his dog and stole his car” repeatedly, in case we left the theater to get more popcorn and forgot what happened in the first act of the film. Bad things happen to John (and to the puppy given to him by his late wife – if you don’t like movies where pets are killed just barely off screen, steer clear). Wick is out to track down and destroy the people responsible. Along the way, we meet people who remember him from before he left his life as a hit man – fellow killers, mob bosses, owners of criminal establishments, and so on. He’s able to call on his old friends to help him in his mission. The cinematography, soundtrack, and acting are, for the most part, competent and workmanlike. The fight choreography is actually surprisingly good considering the rest of the film – likely because the two directors have extensive filmographies as stuntmen and stunt coordinators. This is their first feature film, and it shows.